Kolorissime is the new fun and playful collection of hair brushes from Koh-I-Noor that are perfect for the young and the young at heart. 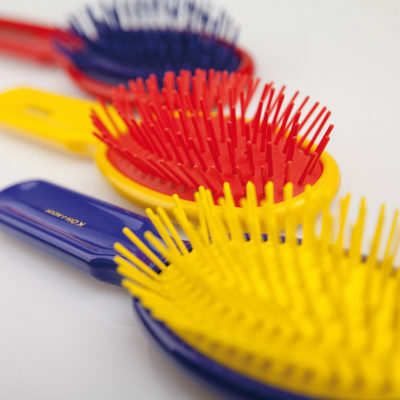 Brushes come in fun color combinations including red and blue, yellow and red and blue and yellow. The cheerful colors will simply make you smile. Perfect for daily use, the pool or gym.